We’ve all had the hair on the back of our neck stand on end and wondered why. Darkness often raises our situational awareness because it presents a number of personal security challenges. Cunningham Security understands that your home should be the safe haven in your life. A remote access security system will provide you with that extra measure of confidence, allowing you to control your home’s lights and locks, as well as heating, cooling and other home functions, right from your smart phone. 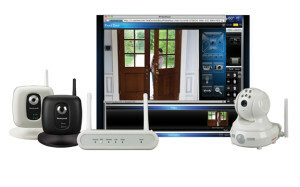 Feel safe and comfortable in your space or away with a home control system. Call Cunningham today for a free estimate on a remote access security system and give yourself peace of mind when you’re at home or away. Remember! Always be aware of your surroundings especially when entering or exiting your home, vehicle or place of work.